picasa web albums – Learn Picasa and Google Photos! 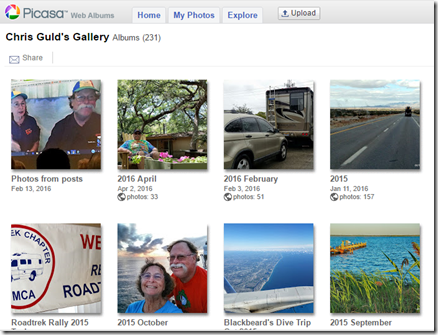 Picasa Web Albums has been around since 2006 – that’s 10 years! An eternity in computer time. 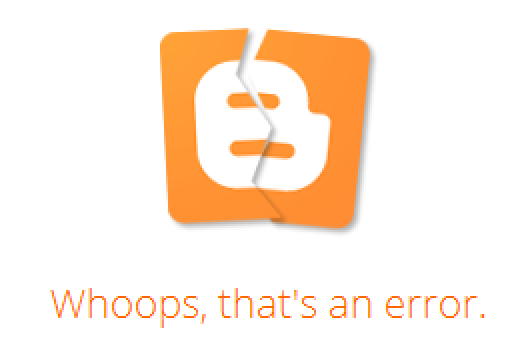 Those of us who have been using it all these years hate to see it go. It has a unique set of features. But know that all your pictures are still there. 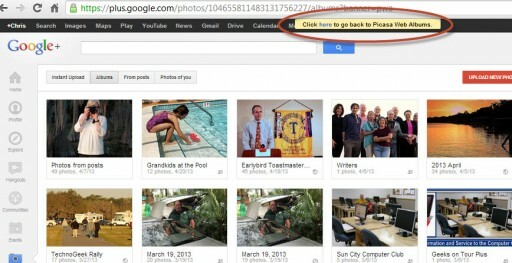 If you just visit Photos.Google.com and log in with the same Google account you used for Picasa Web Albums, you will see all your pictures, but they will be in one big stream by date with the most recent on top. 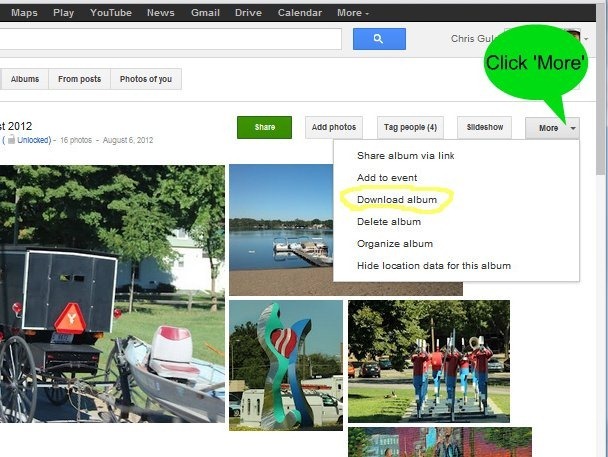 Just click on the button for Albums to see the same albums that you saw in Picasa Web Albums. Although it may be unfamiliar at first, once you embrace Google Photos, I think you will love the new things you can do with your pictures. Once you’re seeing the albums, you can scroll thru them, they’re in date order, or you can use the search box to look for them. 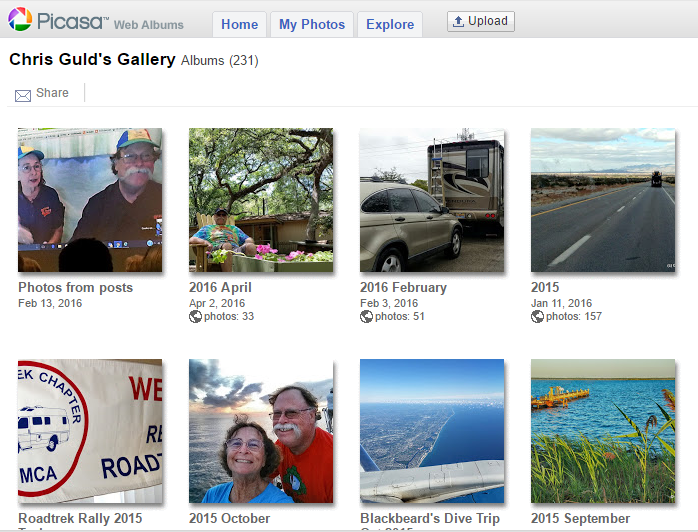 Sorting by Album name is one of those features of Picasa Web Albums that have not yet made it to Google Photos. 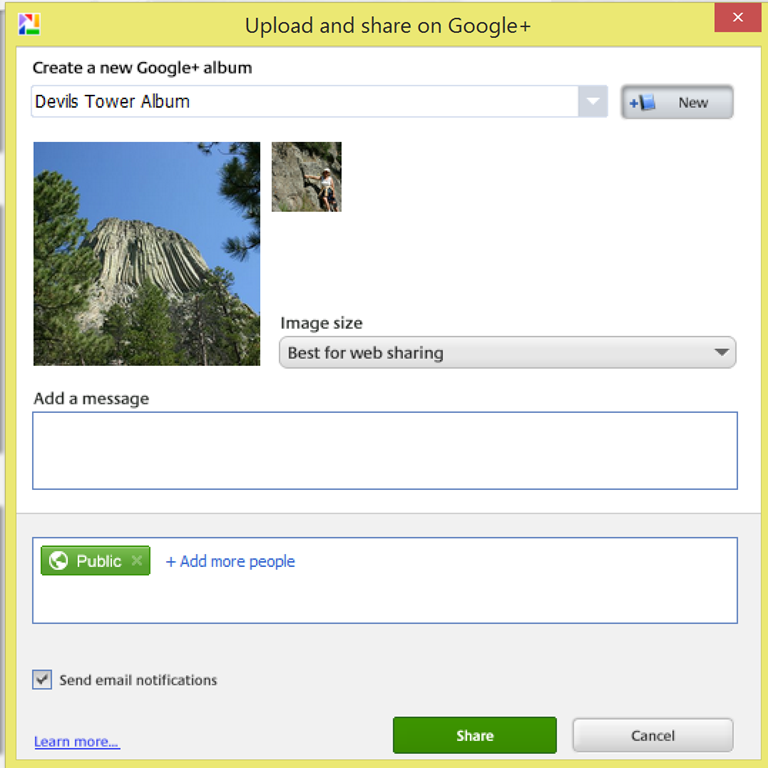 In Picasa Web Albums the building block of the system is the album. The albums contain photos. Every photo is in an album. 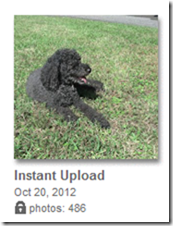 You could not upload a photo unless you knew what album you wanted it to go to. 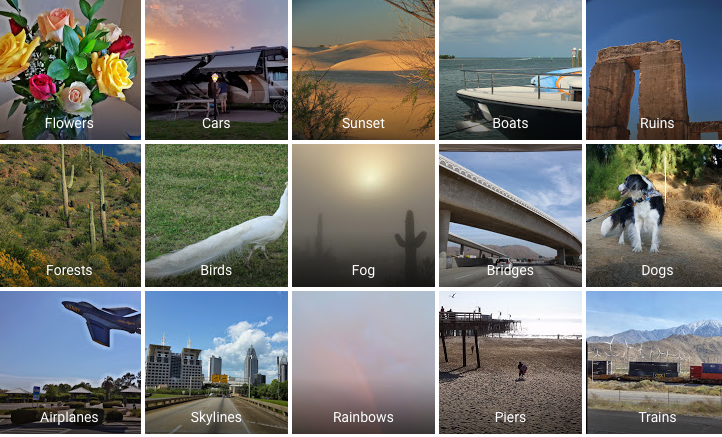 Google Photos has a different philosophy. The basic building block is the individual photo. 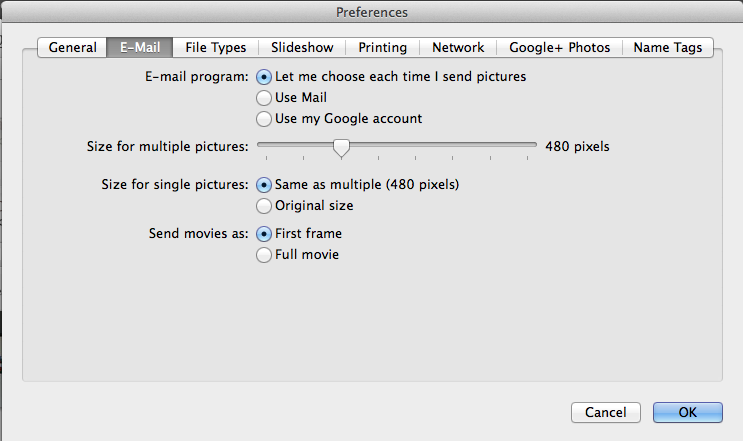 Photos can be grouped into Albums, but the albums themselves are not really objects. They have no properties of their own. 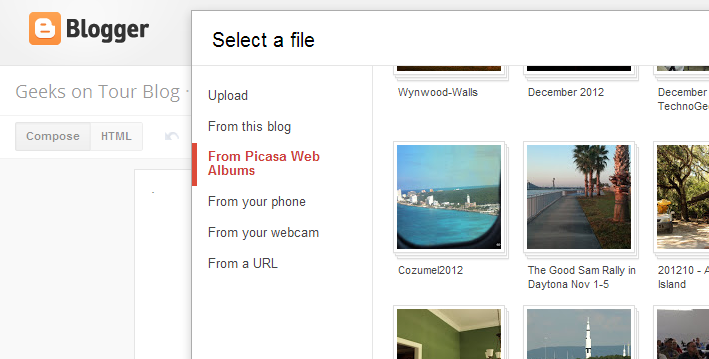 Picasa Web Albums had several features that have not made it to Google Photos. Note: this is my personal observation, not an official list. Please correct me if you see any errors or omissions in this list. Sorting albums by Album date, Upload date, or Album Title. 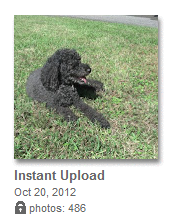 Google Photos only sorts albums by date of most recent photo in the album. Album Properties: Album Date, Album Description, Album Location, Visibility: Public, Link, Only You. None of these properties exist for albums in Google Photos. Displaying a map with all geotagged pictures placed on map with the ability to alter the location. 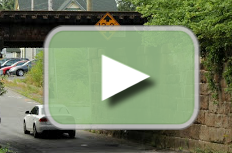 Slideshow – the ability to play a self–running slideshow complete with optional captions, as well as the ability to embed a slideshow on a web page. 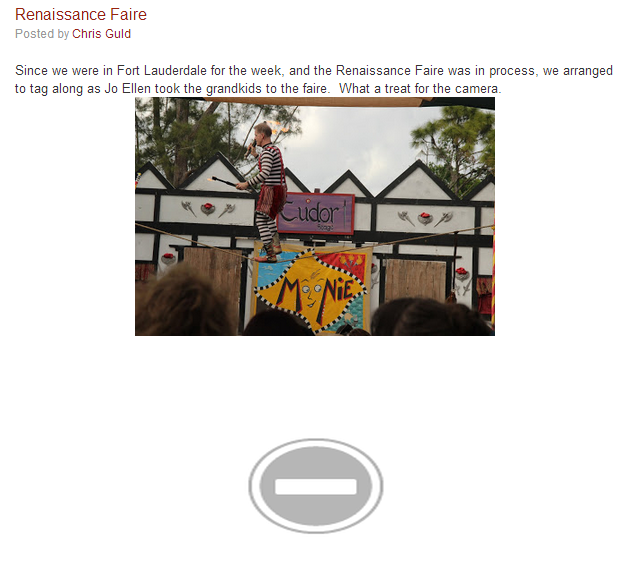 Google Photos can’t do either. 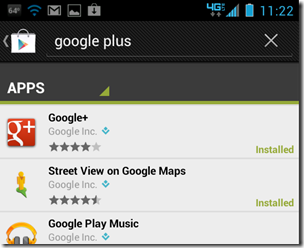 **except on Android, you can play a self running slideshow with GP. Prints – the ability to directly order prints (cards, books, gifts) from selected providers such as Shutterfly, Walgreens, and more. 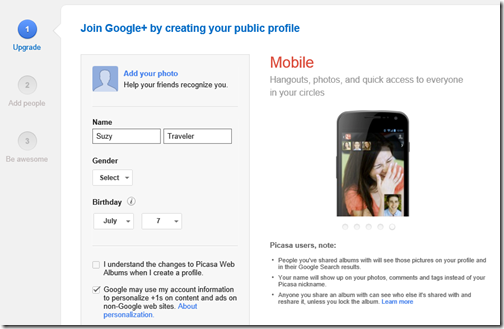 Face Tags – the ability to manually identify people in your pictures. 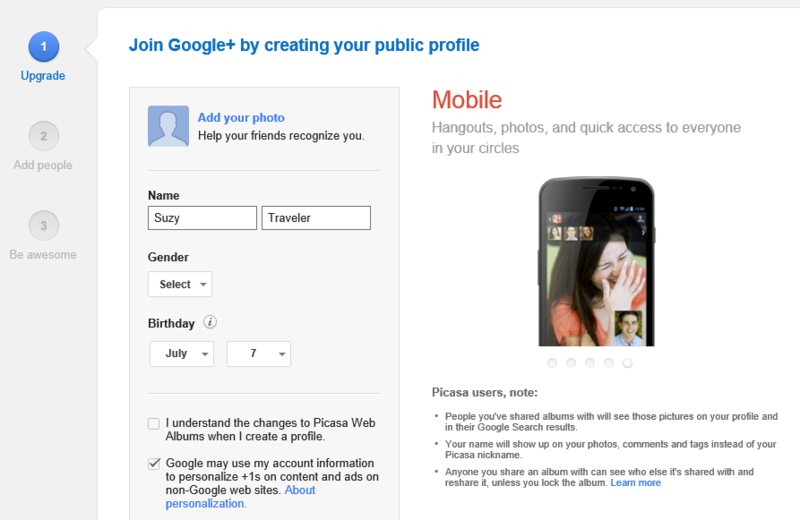 Although Google Photos automatically groups like faces, there is no provision for you to manually tag them if it misses one. Comments and Tags – the ability for people to follow your public albums and leave comments on pictures. Comments and Tags are not available in Google Photos. 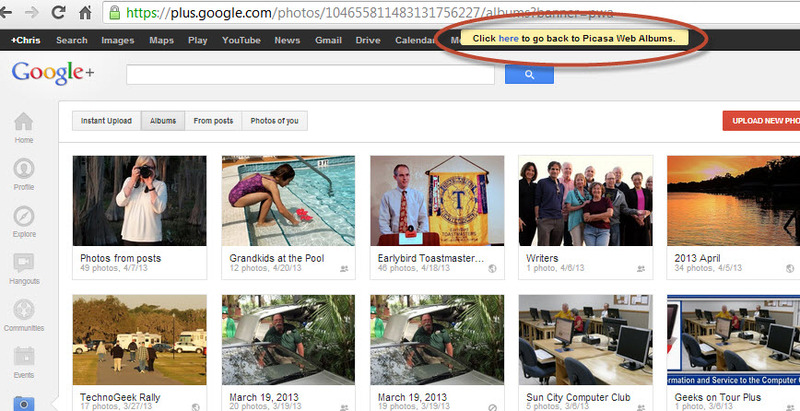 If you see a colorful photo above, that means that old Picasa Web Album photo URLs are still working! 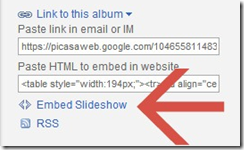 Since Picasa Web Albums have been around since 2006, there are many instances where I have posted links to those albums. 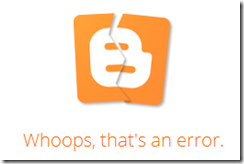 I have been assured by my contacts at Google that these links will be OK. YAY! 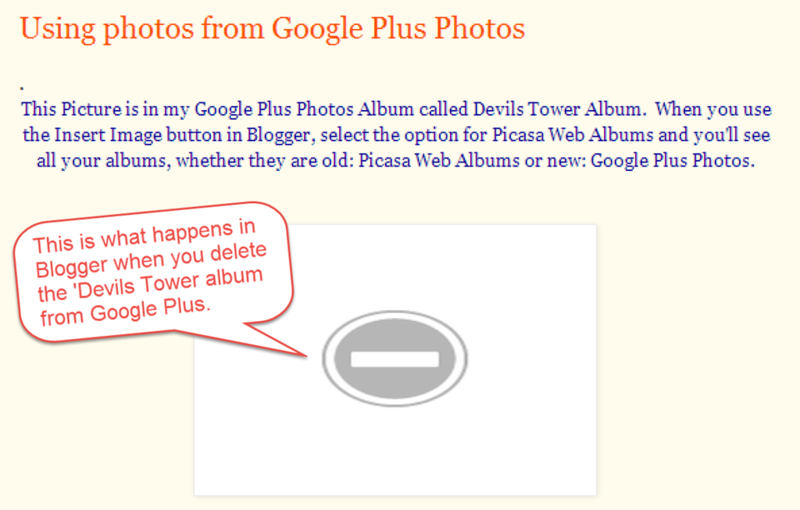 Links to publicly available albums in Picasa Web Albums will continue to work. 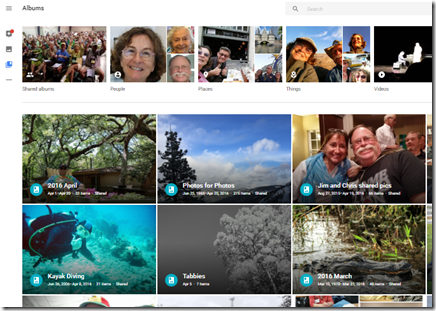 To test it, here is a link to all my Public Picasa Web Albums. 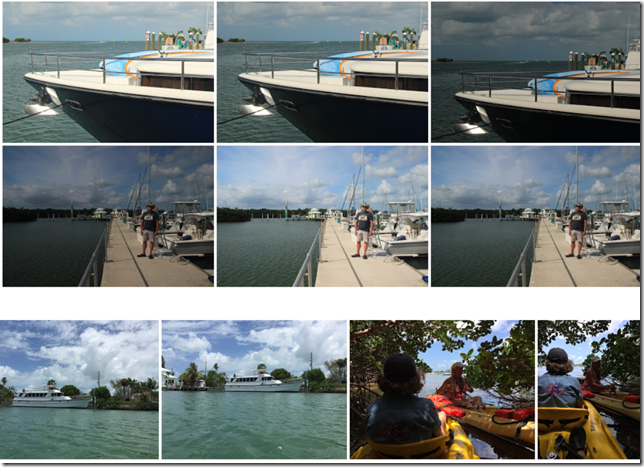 Here is a link to my 2015 December Cuba Trip album. And here is a link to a single photo of Jim and me. 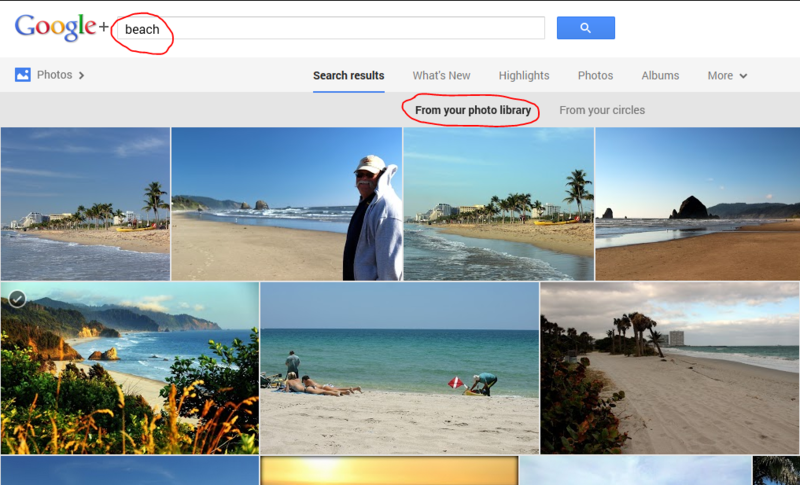 And the colorful photo at right is embedded with the URL from Picasa Web Albums. 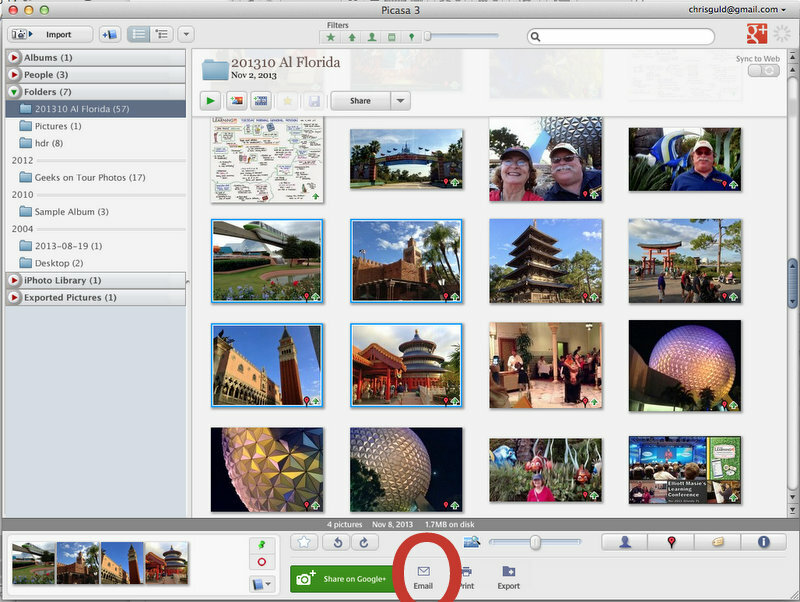 It was on February 12 that the announcement was made that Picasa Desktop Software would be retired on March 15, and Picasa Web Albums on May 1. Read the complete announcement here. Bottom Line: There is nothing for you to do except to be aware that this is happening. All your pictures and albums are available now in Google Photos. Any missing features we can hope that Google will be adding them to Google Photos over time. 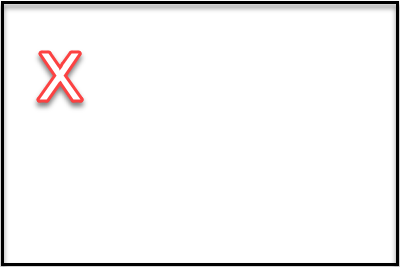 Any missing data, such as comments and tags, will be made available in a new location yet to be announced. 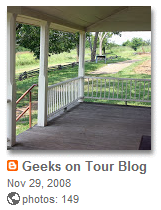 (https://get.google.com/albumarchive/) This will be an archive of Picasa Web Albums. To add your request for favorite features, use the Google Photos menu and click on Help and Feedback. 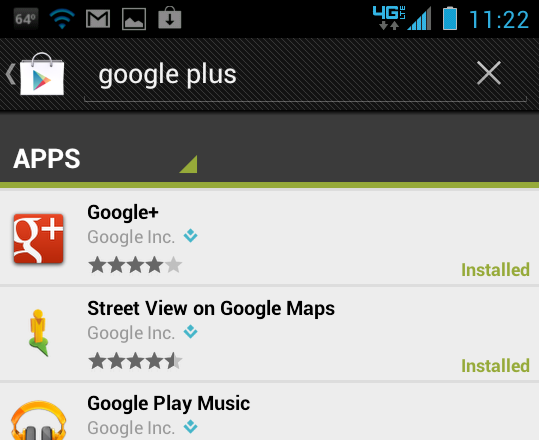 Although you won’t get any response, the folks at Google do read these feedbacks.